Hire the top 3% of part-time CFOs. Toptal is a marketplace for top part-time, interim, and temporary Chief Financial Officers. 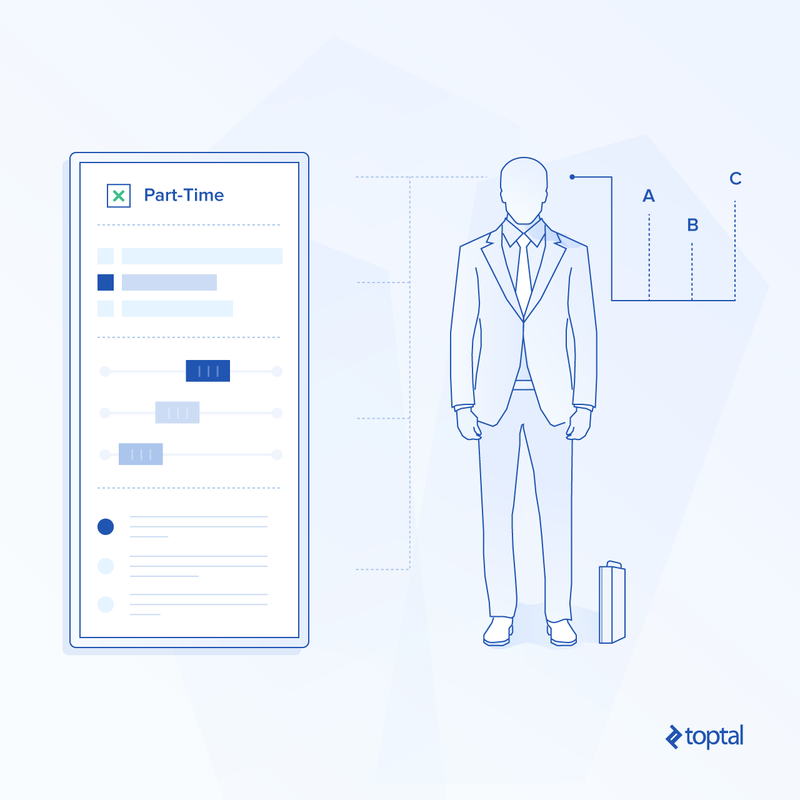 Top companies and start-ups hire part-time CFOs from Toptal for their critical finance challenges. The CFO is a pivotal role within any organization, of any size. In this guide, we will demonstrate the specific advantages that a part-time CFO can bring a business, in terms of addressing very specific needs with tailored sets of skills. 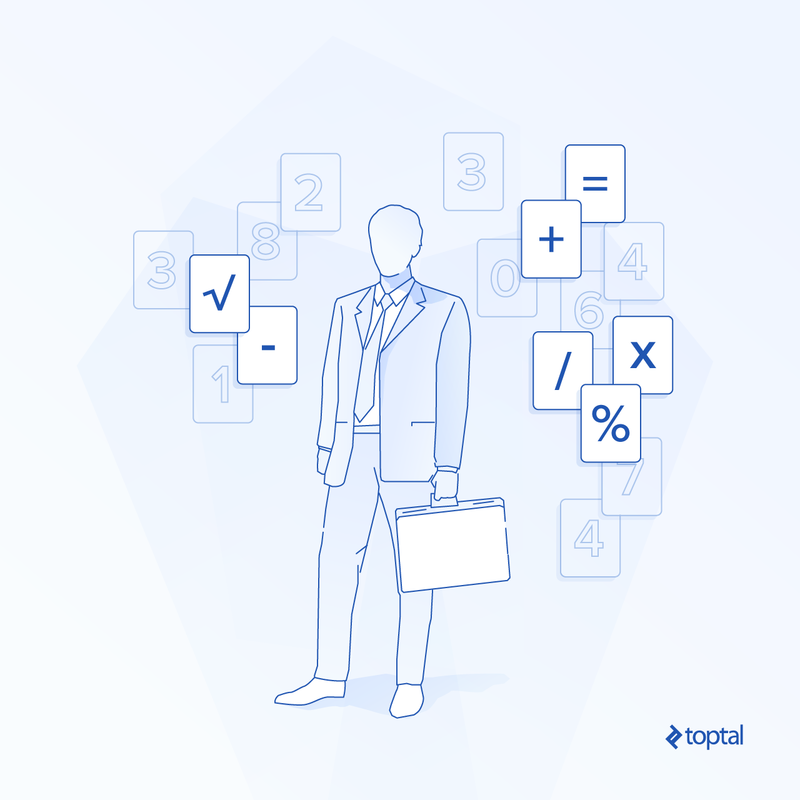 Toptal is a marketplace for top part-time CFOs. 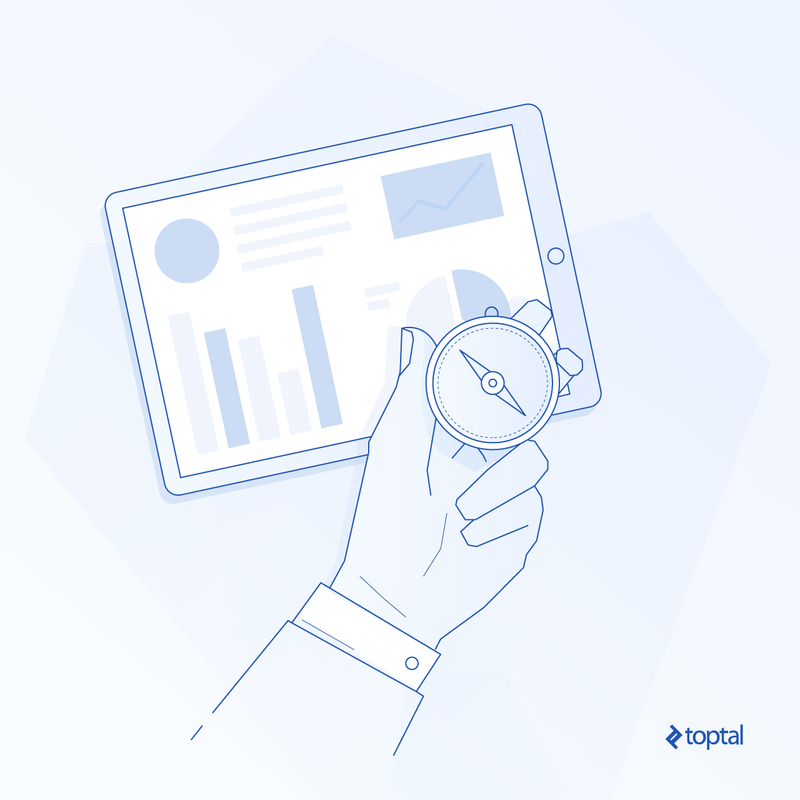 Top companies and start-ups choose Toptal finance experts for their mission-critical finance projects. A Harvard grad with an MBA from Stanford, Peter's served as the CFO of two successful companies, led six acquisitions, obtained growth capital, led recapitalization efforts, and led a successful exit for the shareholders. He's also raised over $500 million for clients as a VP at KeyBanc Capital Markets, a commercial and investment bank. Peter enjoys freelancing to help clients with capital raising, M&A, FP&A, and various CFO-related functions. Craig is a senior financial professional with extensive leadership experience in multinational and startup environments. He has been recognized by peers and clients as an award-winning leader and successful business driver. After a successful corporate career in investment banking and financial advisory, he has moved to freelancing for its hands-on interaction helping companies achieve their strategic, operational, and financial goals. Erik has served as the CFO of a $1.8 billion business unit at Staples and of venture-backed startups and private equity portfolio companies with $20 million to $700 million in revenue. He's also worked with management teams in profitability improvements, corporate strategy, financial models, and board reporting. As a freelancer, Erik enjoys bringing his seasoned, real-world operating experience to a variety of clients. Scott has extensive experience working with high growth businesses in many capacities. He finds that a solid foundation in accounting and operations helps him better guide the financial planning and decision-making process. He has consulted with a number of different service and manufacturing businesses helping with capacity planning, incentive plans, business plan development, and developing driver-based rolling forecast processes. Brian co-founded a family of privately held global technology and media companies with 180 employees and offices in NYC, Ohio, LA, and Tel Aviv—serving as its board member and CFO. He is also an experienced corporate development executive having led more than $500 million of transactions, integrations, and capital raises. Brian joined Toptal because he enjoys working with leading companies and teams on interesting and dynamic challenges. After receiving his MBA from the Wharton School, Michael worked for a predecessor of KPMG in consulting and then for Seagram (almost 20 years). He progressed from a financial planning analyst to E.V.P. of The Seagram Beverage Company and Managing Director of Tropicana (Juice) International. He enjoys freelancing and working on a variety of client projects, just as his entire career has constantly shifted from one challenge to another. Why Hire a Part-Time CFO? Firefighting: An experienced outsider can come in and solve a complex issue using earned knowledge from having already solved it in other organizations. Caretaker: If there is an interim period where the CFO chair is vacant (gardening leave, maternity leave) an interim can come in and maintain continuity. Jolt of ideas: At times, companies can become myopic in their views. Bringing in an outsider for a period can allow for fresh ideas from someone whose goals are very transparent. In terms of cost, the median annual CFO salary in the USA is between $406,474 and $639,000 for public and private companies respectively. If a headhunter was used, their total fees can then add approximately $60,000 to the bill. This is not a cheap exercise and, if done poorly, can be expensive and bring hidden costs to the business from inertia. On the other hand, you could hire a seasoned professional as a part-time CFO within a matter of days and at an annual cost of between $156,000 and $208,000. This also comes with the flexibility of no termination fees and the license to roll the contract over on a weekly basis. The position could also change throughout the year, giving the opportunity to bring in specialists to tackle specific problems. Why have a generalist, when you can hire specialists at a third of the cost? There are four key pillars to the role of the CFO; in this article, we will look at these roles in the context of how an interim CFO may be required and can help. Each section will also detail desirable characteristics that such a role requires. While they will not necessarily be preparing the financial statements, a CFO is the person who has to sign off on them and defend them to management, investors, and regulators. Control is a key element of the role along with ensuring that financial records are presented in a timely, accurate, and informative manner. The process is a mess. Cracks may have been papered over before in processes such as reconciliations. A modernization process is required with software. A more strategic insight is required for the board pack and reporting channels. The team needs to be trained for new business units/incorporating acquisitions. Such a role will require a strong set of project management and delegation skills. An ability to communicate clearly and inspire a potentially jaded/overworked accounting department also cannot be overlooked. When assessing CFOs for this role, pay attention to their most recent roles and the prestige of their last company. A CFO who has worked in a large, traditional organization may not have received enough exposure in recent years to changing accounting technology and may not be able to cope with the stress and flux of an accounting clean-up operation. A strategic CFO will view the balance sheet as a ship that they sail and one that can be powerfully maneuvered to the benefit of the organization. During the Financial Crisis of 2008, balance sheets became the focal point of all businesses. Strategic CFOs were those that were both defensive and proactive to this. They pivoted their capital structures towards longer dated liabilities and shorter dated assets, giving their businesses the breathing space to operate and prepare for future opportunities. While from an accounting perspective a CFO will need book smarts and project management, on a treasury level, a strong understanding of the financial markets takes over. Prior experience of dealing with financial instruments will ensure that they are privy to the machinations of foreign exchange risk and the suffocation that poor working capital management can enact on new business growth. The best CFOs are those that sit with a commercial hat on and view their role as as a business generator, not a supporter. If working capital management is poor, a company might be bleeding money away on unnecessary interest payments on borrowing. On the other side of the coin, unnecessarily high cash reserves are a sign of a CFO that doesn’t have creativity or proactivity. A CFO with a treasury background in banking will be exceptionally strong on the liquidity side, but perhaps not so much on working capital. Conversely, a CFO with a manufacturing background will deviate to the opposite. For that, dependent on the pressing treasury needs in the organization, pay attention to the trained background of the candidate. Treasury duties are mostly concerned with cash flow from operations, in terms of cash flow from financing, a far bigger picture is required. Tapping capital markets and managing investors is a role that a CFO must instigate and lead; funding the company with significant capital ranging from small angel rounds, through to IPOs and then institutional bond issuances. Part-time CFOs are normally hired especially for a role like tapping the capital markets. If the founding team is not experienced in this area, their negotiation power can be boosted by bringing in a skilled operator to lead the process. Again, this demonstrates the value of a part-time CFO, where specialist expertise can be brought in for a specific project. By the time a startup is raising Series A, where a priced round is being negotiated, they must be prepared to ensure that the appropriate funding arrives at a fair valuation. Yet, for early stage companies looking for seed rounds, it is more important to have a CFO that has the creativity to find investors and communicate the long-term vision for the business. Bringing in different part-time CFOs for different stages of fundraising can be strategically critical for startups. Capital can be raised through debt or equity, from public or private sources. The CFO should be able to clearly inform the management team both when the company should be raising and what type of instrument they need. The previously mentioned areas of accounting and treasury lead into this role, as effective management of those responsibilities will provide perfect insight as to when capital needs to be raised. While the CEO is an important public figurehead for companies, the CFO also plays an important role communicating the financial side. They are expected to be made available to investors to provide deeper color to the financial statement numbers. Being able to communicate a vision for the the company based on numbers, not rhetoric, is important. When assessing candidates for this role, pay attention to their confidence and communication skills. Effective CFOs provide a different perspective in both the boardroom and on the business front line. They can be the voice of reason that drive revenue growth through margin expansion, pointing out cost savings and maintaining the cadence between making sales and making profits. When interviewing part-time CFOs, you need to find someone that can grasp the business quickly and hit the ground running. Ask them questions related to your business, pose a commercial problem to them, and see how they respond. A confident and well-rounded CFO will relish this opportunity and will not shy away from it. Gone are the days where CFOs are bookkeepers. They are a differentiated tool to have in in the management arsenal. The more flexibility and diverse career experience that they have the more they will be able to offer your business. Aside from paying attention to their classical training in finance (the bedrock for the job), look at their commercial nous and ability to grasp the bigger picture and link parts of the business together.